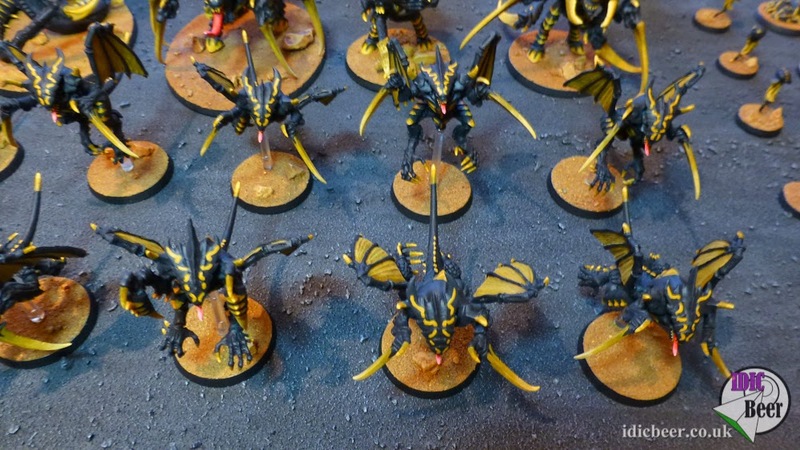 IDICBeer 40k: Endless Swarm with No Monstrous Creatures! Endless Swarm with No Monstrous Creatures! 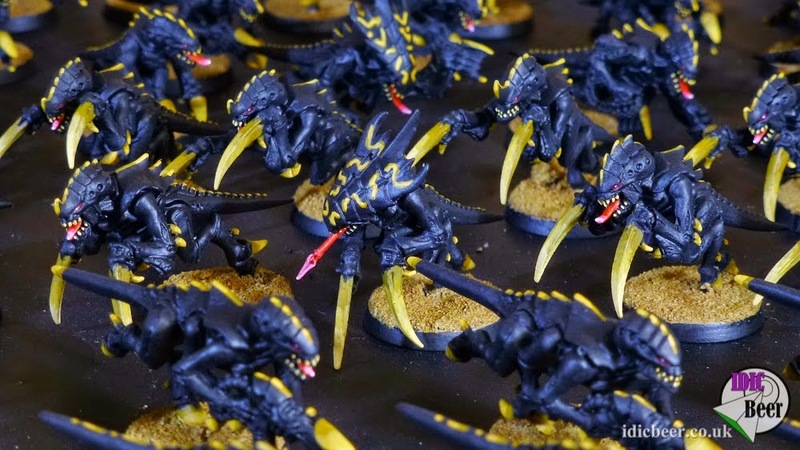 It's always fun to have a bit of a change and maybe even a bit of a challenge, and after many games of 40k with my Hive Fleet packed out with Mawlocs, Flyrants, Fexes and Pods, I thought I would have a go at an army with no Monstrous Creatures in it! 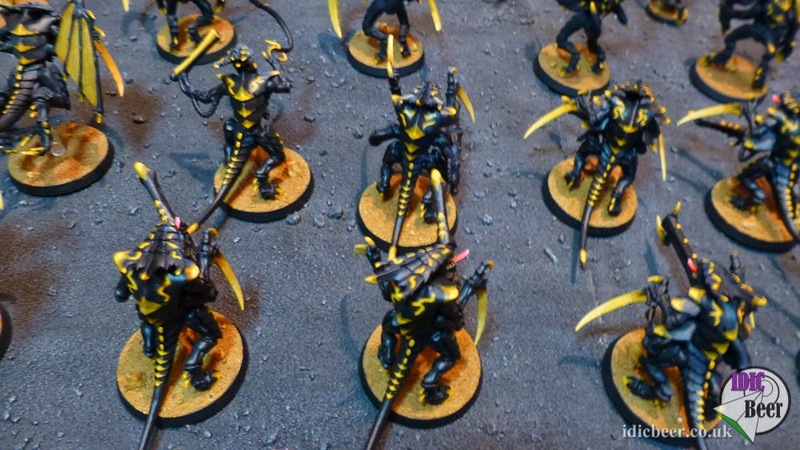 So, with no Monstrous Creatures taking up my points, I figured I am going to have a lot of little bugs on the table, which instantly points me in the direction of the Endless Swarm Formation. I haven't really been using formations, but this one seems to be pretty good following on the heals of Skyblight. The formation consists of three units of Gants, three units of Gaunts and a Warrior Brood, and all these units have a chance to come back onto the board once killed with a fifty percent chance, sounds pretty good to me.